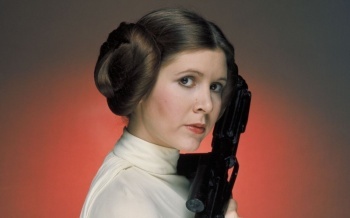 There will not be a CGI Carrie Fisher for future Star Wars films. 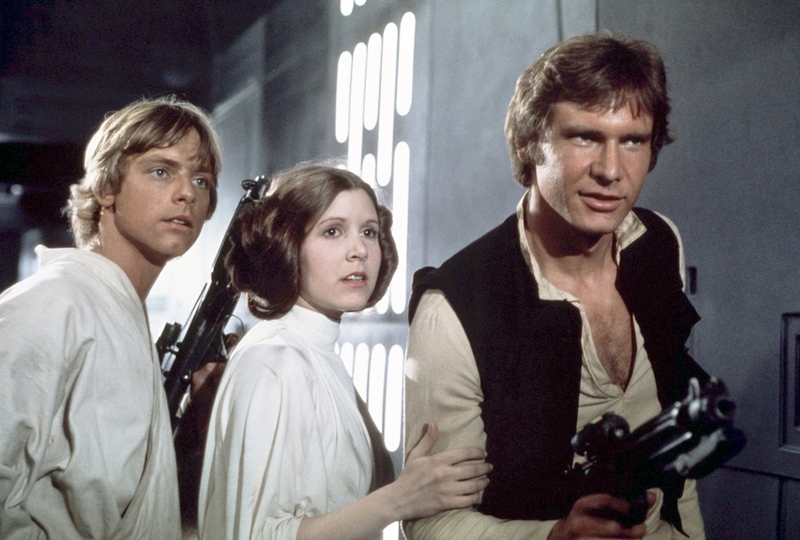 As audiences still mourn over the death of Carrie Fisher, questions about what this means for her character in Star Wars have begun to surface. While we know that she had filmed her part for Episode VIII prior to her passing, we don't know what the future is for the character afterward. Lucasfilm issued a statement responding to the "speculation." We don't normally respond to fan or press speculation, but there is a rumor circulating that we would like to address. We want to assure our fans that Lucasfilm has no plans to digitally recreate Carrie Fisher's performance as Princess or General Leia Organa. So, there you have it. 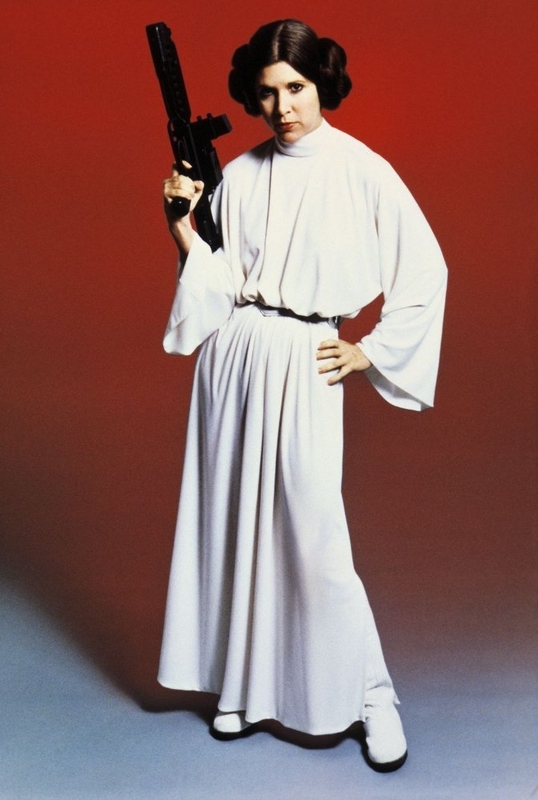 The plan, at least right now, is for there to be no digital recreation of Carrie Fisher in future Star Wars films. She won't get the Paul Walker treatment. And, as tasteful as that was, I think this is the right decision. How about you? What I expected. If Rogue One had come out two months later, it wouldn't have her bad CG cameo. Now to see if Episode IX pays its respects in a way that benefits the story. Honestly, this is probably a good idea, at least for a long time. The wound is still fresh so giving it some time to heal is good. I feel that would have been a welcomed addition, at least from me. It was a brief moment that oddly gave me some sort of sense of closure, however weird that may sound. I was actually suggesting the ending gave some weird sense of closure with Carrie's death. Personally I was actually a huge fan of it, granted I had been reading the expanded universe books and comics and playing the games for years, so it was neat seeing those things come together on screen. The ending was one of the few good moments of the movie. Honestly, the CG gets better and better and I was pleased by both CG-actor appearances in the movie. But maybe that's because almost everything else of that movie sucked big time and I miss the motherfucking 30 Euros I spent on it. One thing is that those CG-reenactments just aren't the performances of the actors in question. Still, I think it's in part necessary for story-telling reasons. What happens to Leia now if she doesn't die in IIX? Will she just vanish/die off-screen? Sure, the movie industry simply isn't far enough in order to make CG-characters that are supposed to look life-like as believable, but maybe so 15-20 years in the future. As a story fan first in general, I see the necessity to do so. 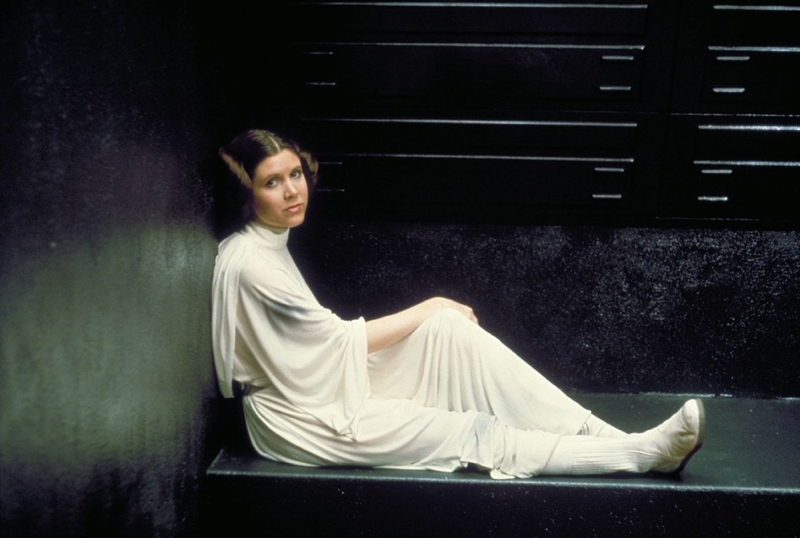 Leia is too big to just vanish and/or die off-screen or in a book. But then again, I'm one of those people who sees video games as the supreme medium due to its combination of every art on top of the unique immersive capabilities due to interactivity. When video games will take over the main focus of story-telling, this medium will be the way to go to give Leia the proper good-bye. Or even more stories with hopefully someone who can immitate Fisher's voice 1-1. Which by its nature is something like the topic at hand, resurrecting a dead actor through CG. I wonder if they're going to recast, and if they do, who will they choose? Disney and LucasFilms must be going out of their minds trying to think of what to do. As jarring a recast would be, it would still be preferable to an off-screen death or recycled footage. I would prefer an off-screen death over a recast. Her face is too iconic. Episode IX might start with a funeral, like the ending of Jedi, after the crawl explains briefly what happened. Or, Rey or Luke could feel her death through the force in the beginning of the movie, after the general's battleship is destroyed in a messy battle, a great loss to the Rebellion. It would be realistic in a way, not showing her death because she was one of many who gave their lives in that battle. Would her character become a force ghost if the explanation they chose is that Leia died? I think this is a wise choice, I have plenty of faith in the technology - which is getting better all the time - but this one of those 'Ian Malcolm' moments where the decision isn't "Can we do this?" but "Should we do this?". I do hope her absence is meaningfully addressed on screen; I remember feeling particularly salty with the last Pierce Brosnan James Bond film ignoring the passing of Desmond Llewellyn by doing something like having Bond going down to Q-Branch to return a gadget, in working order this time, only be told that Q has passed away while he was on the mission. Sorry, drifted there for a bit. 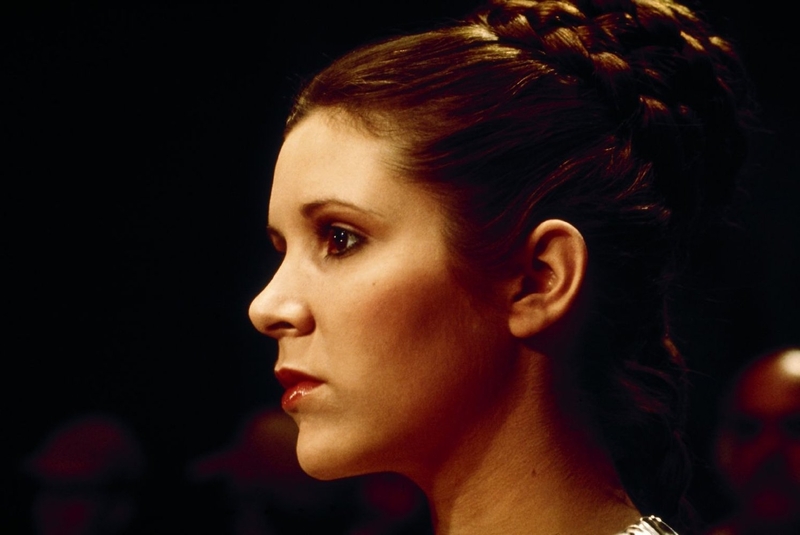 Anyway, a meaningful, on screen send off would be most appropriate and a good way for us bleeting masses to get closure for the fate of Leia Organa, while leaving the Fisher family to get their closure in private and away from the rest of us. Well, we don't know what's going on in Episode 8, but I am certain that her arcs, especially with Kylo Ren, are not finished. An off screen death, especially at the start of the movie, might not even be feasible. Apparently all of Carrie's scenes have already been filmed for Episode 8, but I am really interested to see what they do with the character, afterwards. Its obvious that they cant just recast her, and they're not going to do a CGI recreation, but at the same time, I'd be disappointed with an offscreen death or retirement, as the character deserves a lot more than "Oh bye the way, shes gone now". I don't envy the script writers, as they've written themselves into a hole with killing Han Solo, but I for one am voting for the return of Lando as the General of the Resistance. I guess this means they are rewriting the script for the 9th movie now since she was involved alot in the plot. To avoid mod wrath for low content, what this tells me is that she was going to be killed off in Ep8 anyway. I guess it kinda spoils a big part of the story, but I'd rather have a bit of the story spoiled than have a CGI recreation of a character that means so much to so many. What are the odds she was going to die in VIII anyway? Yeah...all in all this is probably the most tasteful route to take. find it hard to think of an ending because I don't believe this story even needed to be told. But perhaps it could have ended with. They have not nixed the idea of the character being played by another actor though. Something i think would be very fitting for Carrie. Have EP 9 open with the text crawl as normal, which tells us she died during a mission or First Order raid, and have the film open up with her funeral. Honestly i can't think of any other way they could do it. I highly doubt they will do that, Peter Cushing as Tarkin was different, he clearly had to be in the film (a hologram might of been better but whatever) But he's been dead for 23 years and they had to get permission, remember another actor was playing him, they just CG'd over him to make him look more like Tarkin. Carries death is still fresh in her family's and fans lives, if they aren't going to CG her in ep 9 out of her respect i highly doubt they will get someone else to play her. Having the movie tell us her character has died offscreen would be the only way to do it. I think that if Star Trek Beyond could handle Nimoy's death respectfully, Episode XI can too. I don't agree. It makes his appearance in Star Wars '77 look oddly tame. The trilogy already established him as a threatening presence*. The scene in Rogue One went too far and feels undeserved, considering he was barely a character in the film and shouldn't have been there, according to the dialogue in Star Wars '77. Krennic didn't need two superiors. Tarkin was already there to serve the same role for Krennic. He ranks above Vader anyway. What is the point of having a new villain if you focus on the old ones? 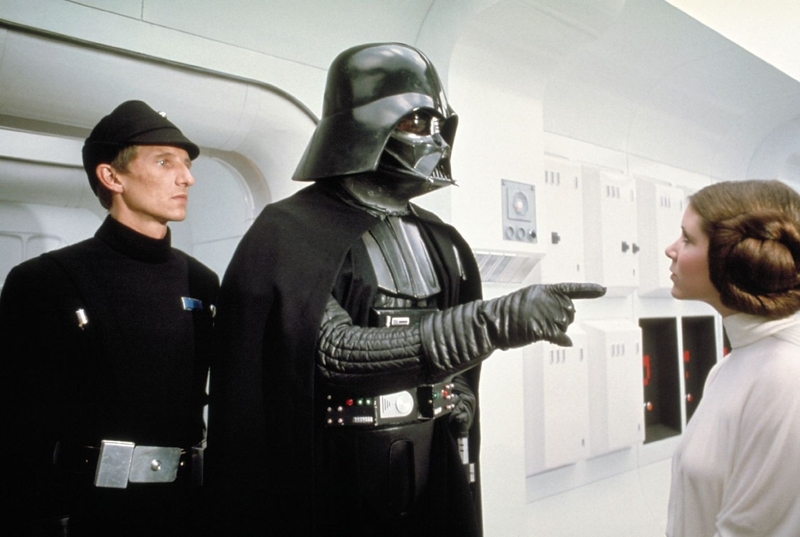 *Vader deflects Solo's blaster fire with his hands, force chokes, threatens and kills his subordinates one after another, fights Luke one-handed (pushing him to the ground with the strength of his arm) and doesn't slow down at all when he is grazed, picks up and throws large objects with the force and levitates himself in Empire, throws his lightsaber, has a huge body 6 feet and 8 inches tall, and has an army under his command. He was always scary. I mean, we are introduced to him as he strangles a guy to death, lifting him off the ground with one hand. Incorrect. She was actually supposed to have a very big part in Ep 9. I don't know, all options are bad. CGI is the least offensive of all.